This could be the biggest consolidation in the software industry in recent times. Microsoft wanted to invest more into the online services market, understanding the future potential of this market. The Yahoo had suffered a heavy revenue loss during the last few quarters. 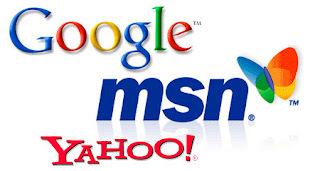 Now as a next move, Microsoft offers to buy Yahoo for nearly 44+ billions USD. Microsoft said the online advertising market is growing rapidly and expected to reach nearly $80 billion by 2010 from over $40 billion in 2007. It added it is "increasingly dominated by one player" referring to Google. "We have great respect for Yahoo, and together we can offer an increasingly exciting set of solutions for consumers, publishers and advertisers while becoming better positioned to compete in the online services market" Microsoft Chief Executive Steve Ballmer said in a statement. Well 10 years back, both the Microsoft and the Yahoo - who were the software giants then - wouldn't have thought they will have to join together as this to compete with Google which was only a small software startup at that time. Just another reason, why I think Google is an inspiration story for software startups. Anyways Google itself will have to continue their work, if they don't want to surrender to some XYZ startup after 10 years. This isn't going to be a cake walk for them. It's been a long time coming.....after all those rumours!! This is good for all of us because Google needs a competition for sure.